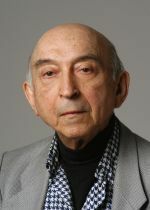 The Secretary General & all the associates & members of IICCI deeply mourn the passing away of Prof. Lotfi Zadeh, the father of Fuzzy Logic, an universally acclaimed scientist, an inspiring communicator & a great institution builder. His vision & relentless efforts will continue to live in our memories forever & will always motivate each one of us in the future. Our heartfelt condolences to the members of Prof. Zadeh's family.